The Two Drawer End Table has two deep drawers for storage. The drawers are mitered beveled moldings with flat panel faces. The base moldings have an open look with a foot detail. 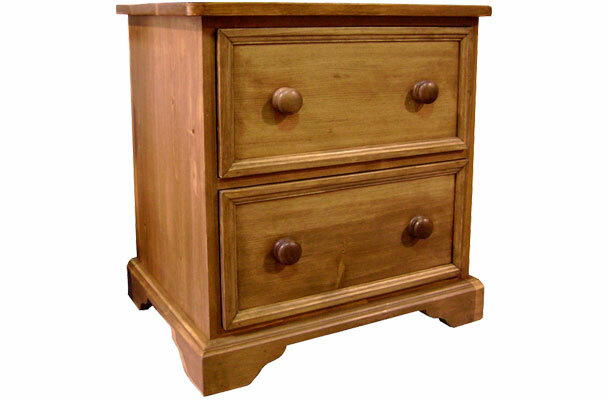 The two deep drawers offer small dresser storage, while the petite size makes it a versatile end table. Use as an end table for the living room or as a nightstand for the bedroom. The Country Cottage Two Drawer End Table adds storage and European charm to any room. The two deep drawers offer dresser-like storage, while petite size makes it a versatile end table for a living or bedroom space. 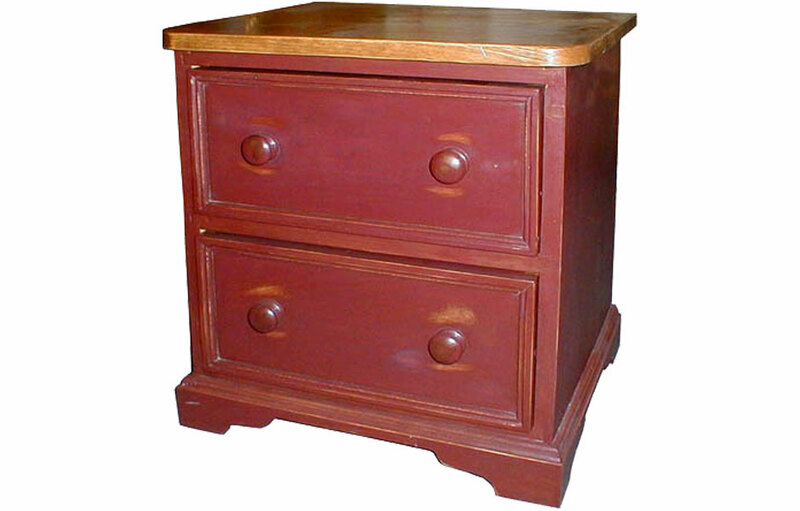 The solid wood, cottage end table has 2 deep drawers with beveled moldings with flat panel fronts. 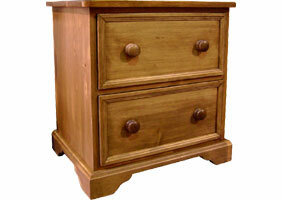 The drawers are made completely of solid wood, including the tongue and groove bottoms for strength and durability. The drawers glide effortlessly on wood glides for years of daily use. The base has a contoured open foot. The 26" height is ideal for a bedside nightstand, and the wide top has enough room for a lamp, clock and other decorative items. Classic wood knobs complete the French cottage-style. The wood top of the end table is water-sealed to prevent water rings, and for everyday use. 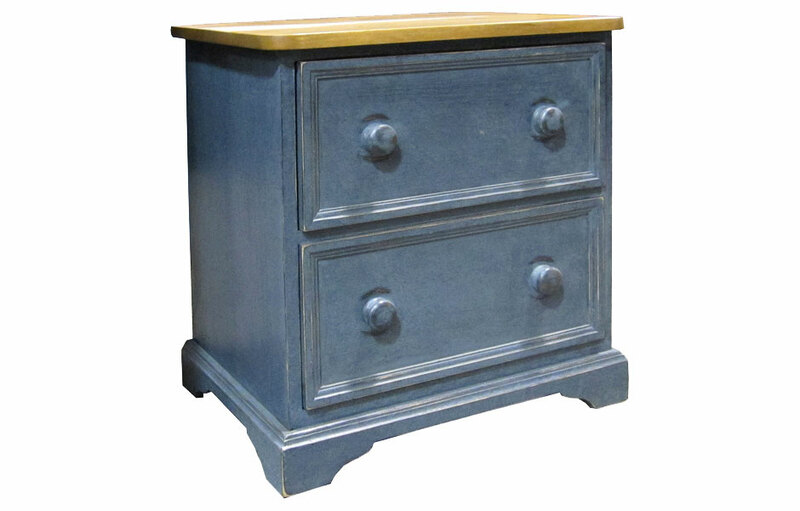 The deep, 2-drawer end table can be painted in a classic two-tone finish with a stained top and painted base, or all-over one color finish. The Country Cottage End Table complements French Country, English Cottage, Farmhouse, Rustic, Transitional and Traditional style decors. Two Drawer End Table finished in Natural.